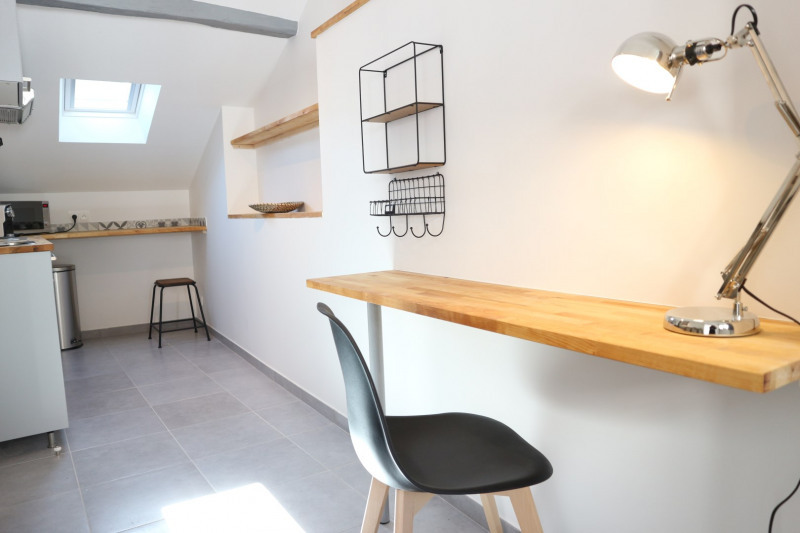 Furnished studio of 12.56m² in the heart of the city center of Fontainebleau, entirely renovated in building with 3 other apartments rented to INSEAD students. All sharing a beautiful inner terrace. 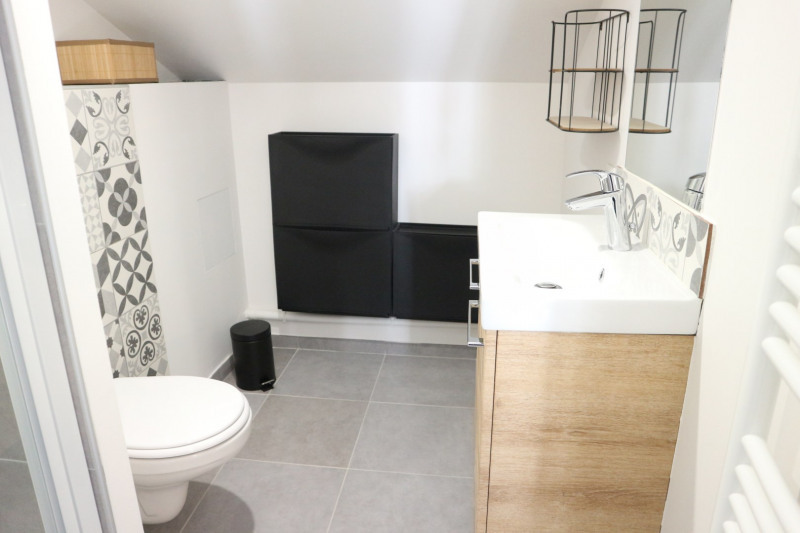 Completely renovated and entirely new apartment. 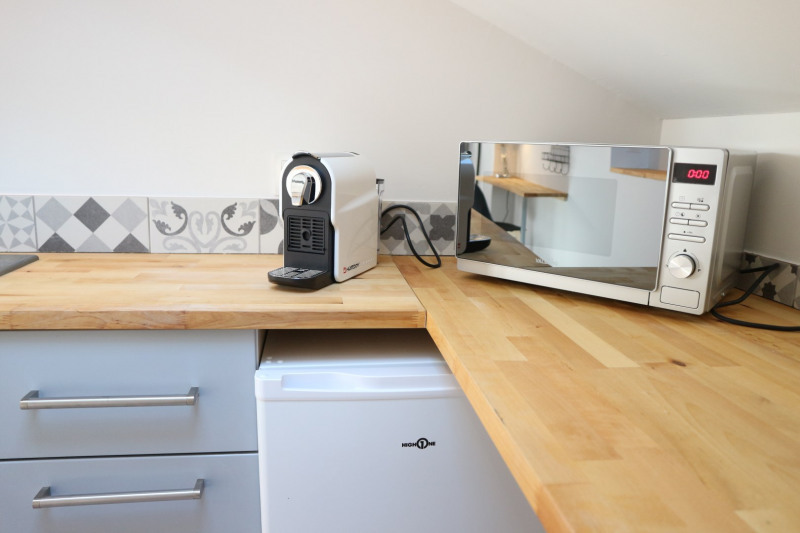 The kitchen corner is well equipped (cutlery, crockery, fridge with ice box, microwave, 2 hotplates, kettle, coffee maker). 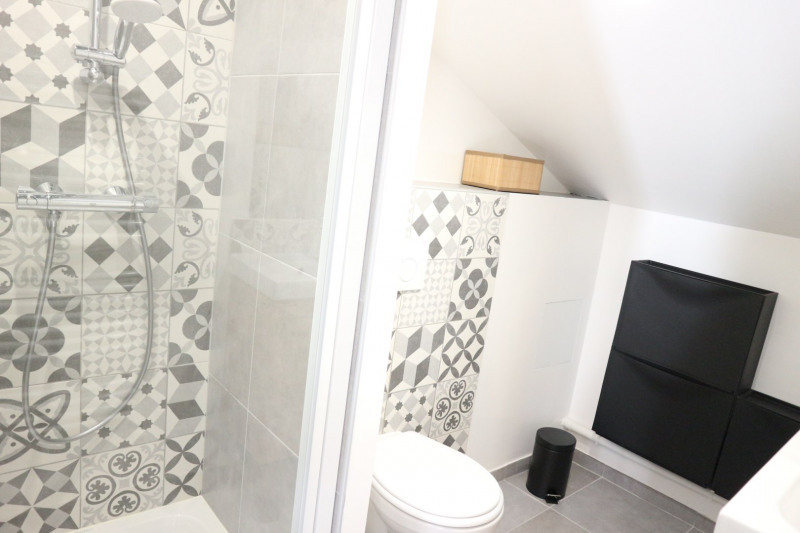 There is a shower room with basin, and WC. The apartment comes with vacuum cleaner, cleaning equipment, drying rack, iron, and ironing board. The charges include water, electricity, internet, maintenance of common areas and rubbish collecting taxes. Laundry usage at expense of tenant. 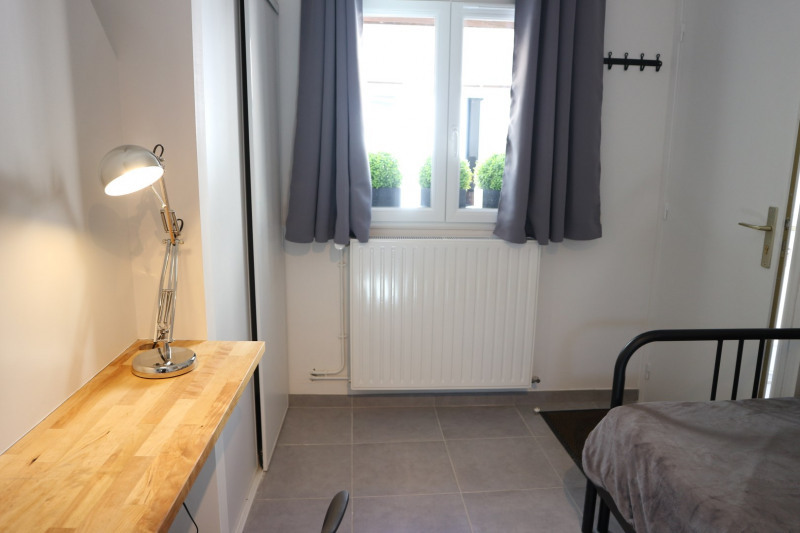 The monthly rent and charges are 690 euros. 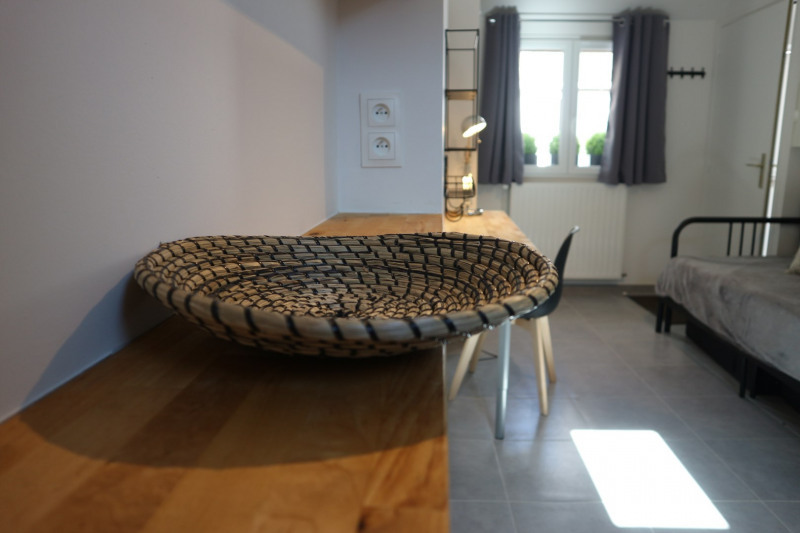 The security deposit is 1380 euros (twice the rent). Agency fees are 350 euros. 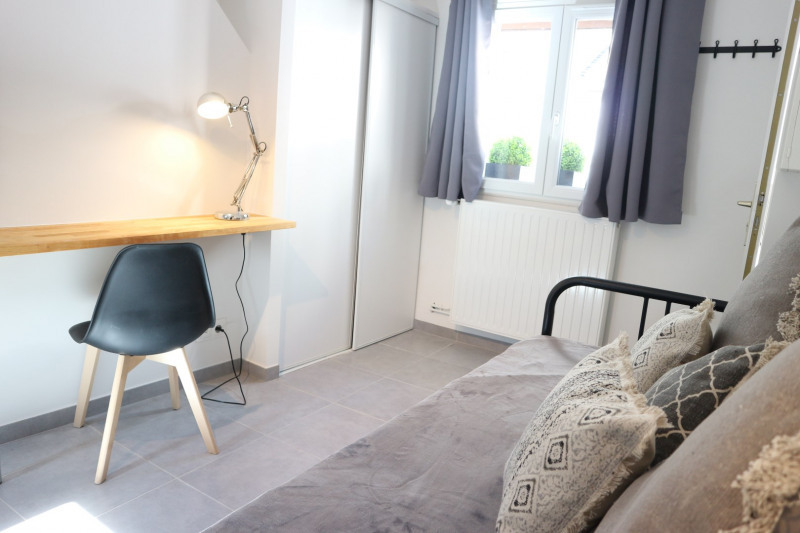 In order to book this accommodation, a first payment 2420 euros will be required (one month's rent and charges, security deposit, agency fees).